For the past several weeks in China, Apple was the target of virulent criticism about its techniques. Attacks in the media, have forced Tim Cook, CEO of the firm, to apologize for some differences in treatment. A differential treatment; given particularly to china have created a wave of protests and Apple has been the target of a barrage of criticism. Difference in treatment that may exist on certain products between United States and China created a furor. iPhone 4 and 4S were were replaced in Europe and it was subject to standard repairs in China made the uproar in China.Tim Cook has issued an apology on the official website of Apple China. It essentially recognizes that communication was poor, and that the firm should better inform consumers Chinese. More specifically, he explains that the iPhone 5 will almost always be replaced in case of problems, while models 4 and 4S will most certainly can repaired. Cook does not explain exactly why, but we have to imagine that the finesse of the iPhone 5 and its complex manufacturing process are due for replacement. However, he did not respond, as pointed out The Verge, a charge carried by several Chinese media. According to the media in China, Apple carefully avoids the replacements because Chinese law obliges for the undertaking which provide a full year of technical support. However, in the case of replacement, the warranty is only 90 days. No word on a course such an assertion. The firm recognizes, however, still have a lot to learn from the Chinese market, and conduct a review of certain clauses of warranty. Who made excuses fly. According to Reuters, however, excuses Tim Cook have borne fruit. Apple won’t apologize easily. The last known case is also the Plans, including the chaotic launch could hardly be ignored. Chinese media have generally endorsed the approach. Even the Ministry of Foreign Affairs said the response had been "conscientious." 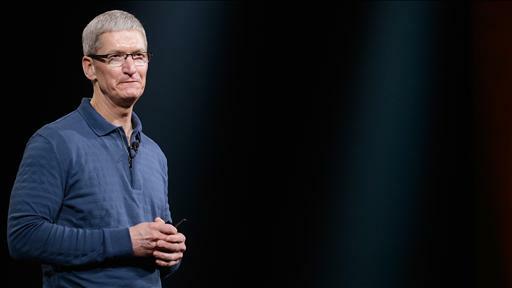 Apple accused of "arrogance unprecedented," Thus its side enhanced by the declaration of Tim Cook. Chinese firm Control Risks analysis has indicated that Cook "had to get up from his chair and meet the CEO," which "shows the importance of China and how it is a critical market not just for Apple but for any multinational company.” According to the consulting firm Redtech technology, Apple has also learned to be more "proactive". He added that in case of future problems, the company will find it easier to get back on their feet. It is a thunderbolt! 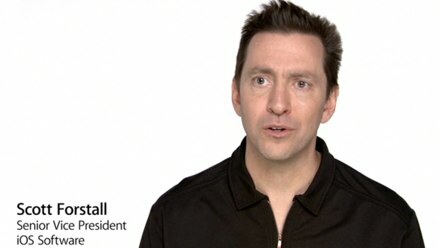 While some observers as Adam Lashinsky, praised the stability of the management of Apple, best guarantee to perpetuate the legacy of Steve Jobs, the Apple brand has announced a complete reorganization of its management team. 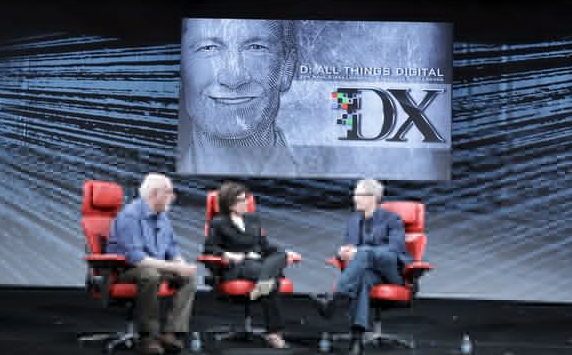 On the occasion of the tenth conference D: All Things Digital, Walt Mossberg and Kara Swisher have extensively interviewed Tim Cook. 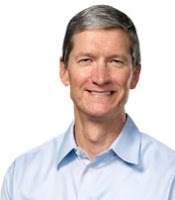 Apple's CEO obviously did not make outlandish statement, but made many developed on the company, its products and its strategy (a few video clips are also available & read Tim Cook on Siri and the names of the iPhone). 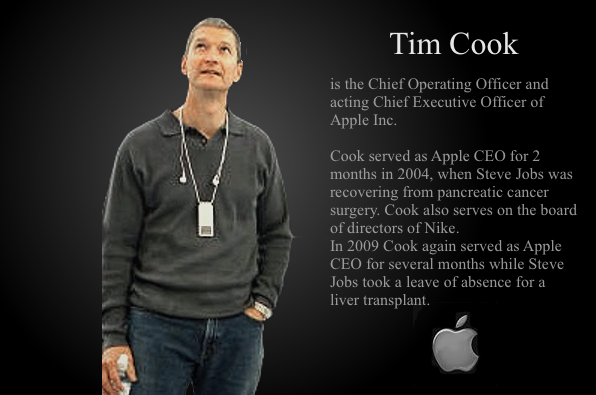 Tim Cook: the "mere mortal"
Fortune devotes its cover to Tim Cook, with a portrait shaped article and taking stock. On what has begun to change or evolve from Apple. Details ... The portrait, by Adam Lashinsky, author of Inside Apple (€ 10.99) released last month, begins with the traditional story. That a meeting last February by Apple, for financial analysts and investors. Apple sold 5,198,000 Mac over the holidays, just beating analysts' estimates (5.14 million). The MacBook confirm their good form despite the absence of news: it took 3.719 million laptops (+ 2.85% compared to Q4 2011 / + 27.93% vs. Q1 2011) against 1.479 million Mac office (+ 15.73% compared to Q4 2011 / + 20.54% vs. Q1 2011). There is renewed talk of numbers record. 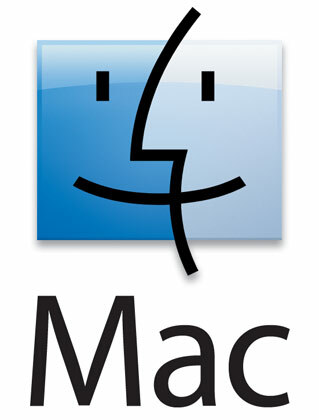 The figures are timely to celebrate the anniversary of the Macintosh, introduced January 24, 1984. Anthony Nelzin Periodically, the SEC (Securities and Exchange Commission) Requires companies (listed or not, if Their capital IS More than 500 Held by Shareholders) to Provide reports. Each quarter, Provide the Form 10-Q, and in case of major changes Such as the departure of the CEO, They must complete the Form 8-K. The Most interesting IS Certainly the Form 10-K, Which Takes Stock of the Year. 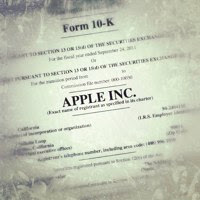 Apple HAS ITS closed fiscal year, to table it Comes That document Along With A Hundred pages we propose to summarize.